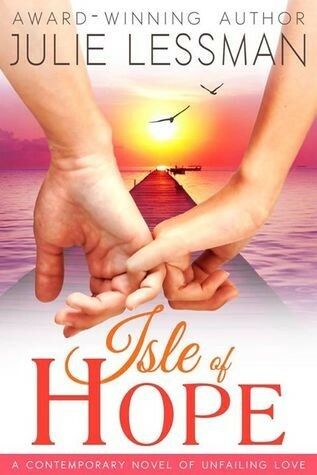 Isle of Hope is a powerful story! The O`Bryens and the Carmichaels are memorable characters, as is their story. After their lives were ripped apart years ago, these two families struggle to knit them back together with faith and forgiveness. Their road to redemption spans cracks and fissures, roadblocks, burning bridges, and numerous detours. What an emotional ride it is! All of Julie Lessman’s signature goodness is found in this story; complexity, tension, emotion, and hope abound. I enjoyed this contemporary debut and look forward to the next book in the series! Click here to enter the TOUR WIDE GIVEAWAY! Winner’s choice of an e-copy or paperback copy of Isle of Hope OR any of Julie Lessman’s other books. At the age of eighteen, Lacey Carmichael was a wild girl bent on fun, promised to Jack O’Bryen, a straight-and-narrow pastor’s kid bent on the seminary. When her father kicks her out of the house, she runs away from Isle of Hope, turning her back on everything she loves. Now, eight years later, she’s back as a woman of faith, hoping to make amends to the father she defied, the boyfriend she deserted, and the best friend she denied. Only the bridges she’s burned are still smoldering, kindled by an adulterous affair by Jack’s pastor father that damaged his son’s faith. But can a turning of tables—and hearts—lead the way back to “hope” for them all? She’d shot up out of the river like a tow-headed sea nymph, water sluicing down gentle curves of her T-shirt that tempted way more than they should. Her chuckle had been husky and low as she paddled in place off his dock, the sultry sound floating toward him like the mist on the water—hazing his mind, clouding his will. “This is our last night before you leave for that stuffy seminary,” she’d said with a toss of her head, “so let’s make a memory to keep us warm while you’re gone.” With a scrunch of her nose, she’d wiggled in the water and shot him a pixie grin that came off devil may care. Devil may care. Jack grunted. That certainly nailed it to the wall. The edge of his mouth jagged up. With a freakin’ nail gun. He cocked a hip and sighed, tunneling fingers through his hair as the memory lapped against his mind like the warm, salty waters of the Skidaway River. Against his will, he shook his head, fighting the seed of a smile. Lacey Anne Carmichael had to be the biggest little brat on the Isle of Hope and absolutely everything Jack had ever wanted. Intelligent, warm, and brimming with life and fun and adventure, the perfect complement to his serious and sensible self. Half tomboy, half vamp, she was an adorable little girl in a woman’s body whose heart had always beat in time with his own. A best friend as deep as the rolling river who sparkled and shined on the surface with a sense of humor that made him laugh. Until the summer that everything changed. The summer of her senior year after her cousin Nicki moved from California to Isle of Hope, tainting the girl to whom he was promised. He’d arrived home from college, and suddenly Lacey was different—wilder, crazier, as if hungry for a lifestyle forbidden by a strict father with whom she’d never seen eye-to-eye. From honor-roll choirgirl to temptress in the blink of a semester. Sure, Jack knew she’d always had a streak of the rebel—she’d been his next-door neighbor and sisters’ best friend forever, after all. But he just assumed graduation and turning eighteen would soften the edges. Help her settle down and become what he always hoped she would be—a pastor’s wife. Julie Lessman, award-winning author of The Daughters of Boston, Winds of Change, and Heart of San Francisco series, was named American Christian Fiction Writers 2009 Debut Author of the Year and voted #1 Romance Author of the year in Family Fiction magazine’s 2012 and 2011 Readers Choice Awards. 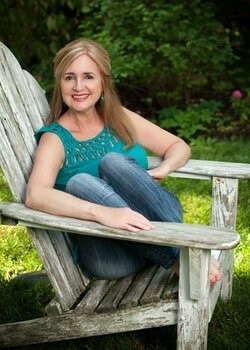 Julie has garnered 17 RWA and other awards and made Booklist’s 2010 Top 10 Inspirational Fiction. Her latest novel, Surprised by Love, appeared on Family Fiction magazine’s list of Top Ten Novels of 2014. Her indie book A Light in the Window is an International Digital Awards winner, a 2013 Readers’ Crown Award winner, and a 2013 Book Buyers Best Award winner. You can contact Julie and read excerpts from her books at www.julielessman.com, or through Facebook, Twitter, Google Plus, or Pinterest, as well as sign up for her newsletter. 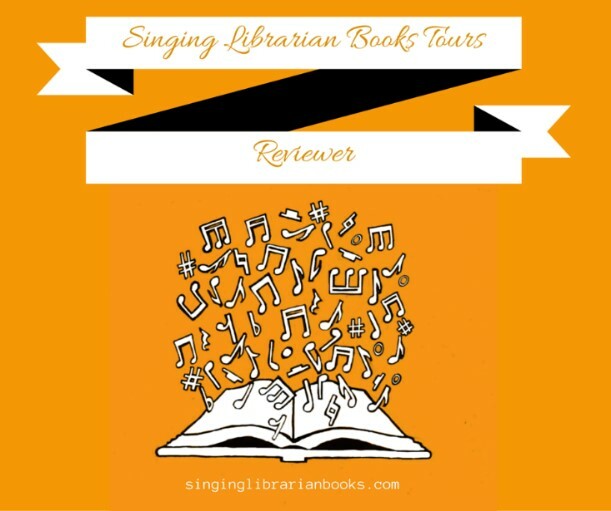 Check out Julie’s group blog, The Seekers, Writers Digest 2013, 2014, and 2015 “Best 101 Websites for Writers,” and Julie’s own personal blog, Journal Jots, voted blog of the month in the Readers’ Choice poll of Book Fun Magazine.